Plaid is definitely on my agenda for fall/winter. I’m seeing it everywhere and many times its in conjunction with ruffles (win!) or in a length that I can wear it with jeggings or leggings and my booty won’t be on display for all the world to see (win win!). 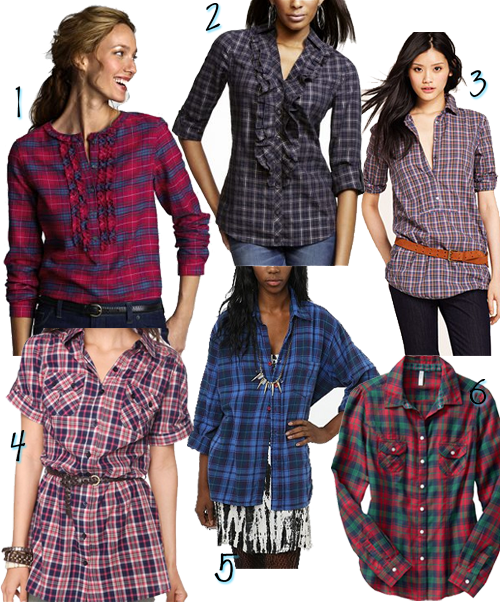 Will you be wearing plaid in the near future and if so, what are you getting?